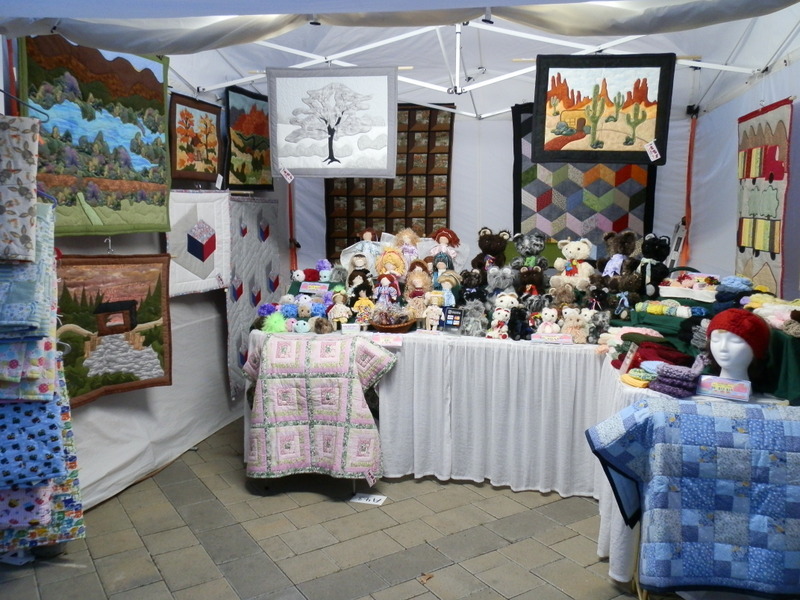 Like most artists/craftsmen, many of us do festivals and shows as a way to create a market for our creations. Regardless of what it is that we display, the steps are the same for everyone; travel to location, check-in with organizer, unload, set-up, be open for the show, tear down, load up, travel to home. If you’re anything like me, you have a personal best record for tear down – ours is 53 minutes tear-down/packed/loaded and on our way. Set-up is an entirely different thing. There’s no way we’ve ever been set-up in less than 53 minutes. After several shows, and much fumbling about to get set-up done, I sat down and pondered what we were doing efficiently at tear down that we were not doing at set-up. There were a couple of obvious factors… we aren’t as particular at tear-down about the arrangement of our wares, hopefully we have a lot less to tear down than when we set-up, and we seemed to always tear-down in the same order. That’s when it occurred to me what the key would be to get set-up to be as smooth as tear down. We needed to do it in the same order each and every time. The next show we did after this epiphany was terrific! It started before we ever left home. When packing the truck, we made a concious effort to put the things we would need last (basically product) went into the truck first, and that the things we would need first went into the truck last. When we arrived at the show, things came out of the truck in the order we needed them for set-up – the canopy and weights were the first things out. That was followed by display tables and linens. Product never came out of the truck until all of this was up and ready to stock. When it did come out, it was packed so that it was arranged from right to left within our booth. This worked perfectly for us. We still haven’t beaten our tear-down record of 53 minutes, but we’re getting there. Our current set-up record is 59 minutes. With a little planning, you can make your set-up routine just as easy and efficient as tear-down. Those are great tips, and we do like to get our tents and weights set first (and last packed) but some of the shows we do have to be unloaded fast so that the vehicle can be moved out of the way of other vendors, which means we’re lucky to get our tables up and totes unloaded in your time-frame, linens and un-packing have to be done among clutter, plus we are setting at least two tents and have three crafters in the family, so we do try to get totes sorted as to where they will go in the spaces. Sometimes I think less variety would be better. Yay!! I am definitely going to try this out. I’m going to be getting back into shows and fests after a decade away, after doing the whole craft show gig for a decade! I admit I did like setting up, or at least arranging the crafts and displays far better than tearing down when I just wanted to go home after a long day. But I also remember being stressed and disorganized without having some kind of set up system, and having to always have a helper along with me. Just overwhelming otherwise. This time around, I’d like to be organized and solely self sustaining. You can learn A Lot on the craft show circuit! Thanks so much for sharing your tips! !